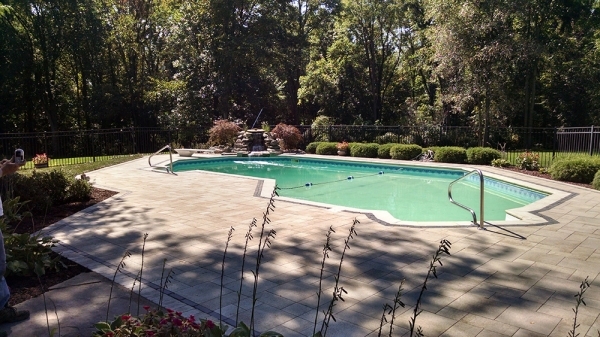 Keep cool during Michigan’s hot summers with a custom-built swimming pool! 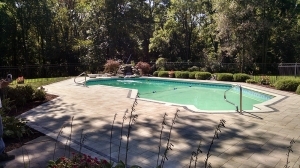 Is there anything better than cooling off after a hot summer day by taking a dip in a pool? 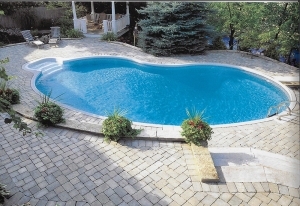 Yes, Having Hardscape Solutions create the ultimate backyard get-a-way that will make you The envy of the neighborhood. Installing a swimming pool is just the beginning. 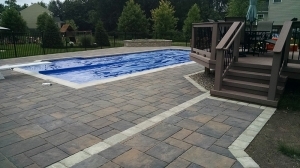 Our experienced designers can create a comprehensive plan for your backyard to include such amenities as paver pool decking, an outdoor kitchen or fire pit area, or perhaps a little more seclusion with a pavilion or gazebo. Our mission is simple: create an area not only where the children can play, but the adults can relax, entertain and play, too! 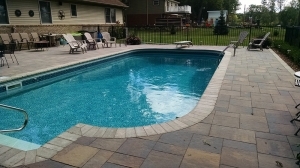 Hardscape Solutions has been designing and installing custom swimming pools for southeast Michigan homeowners with exceptional designs and materials for over 25 years. To explore the possibilities, let’s talk! 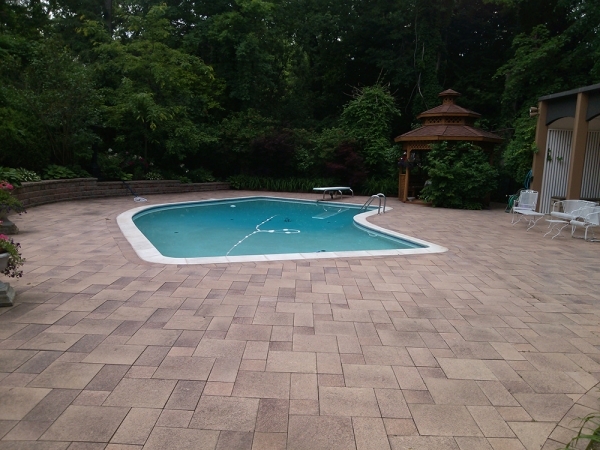 Installation of a new inground swimming pool not only consumes a lot of time, but it also requires extensive planning and details. While this may sound a bit intimidating, rest assured that our staff will be happy to guide you through the process from start to finish. The first step is to schedule a consultation with one of our experienced designers. Our clients are sometimes surprised to learn that a backyard pool project typically takes up to a year in planning and installation. Once you meet with our staff and decide to move forward, we will research all municipalities and zoning for any potential issues. 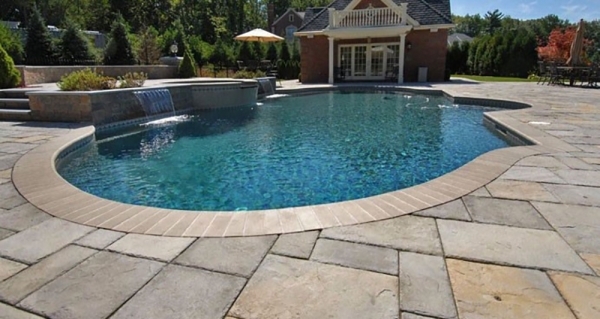 Our design team will take into account all the details you’ve envisioned your pool to have and will be committed to making them become reality. 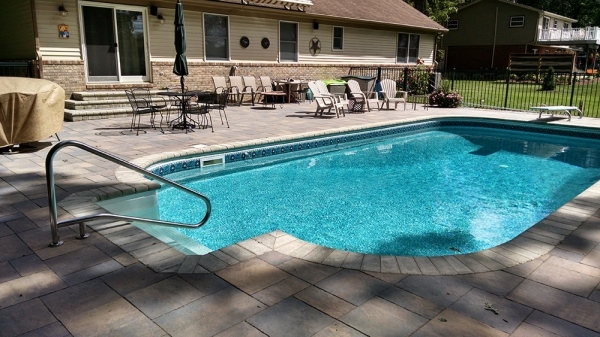 Our staff will make suggestions throughout the process based on their own experience, which may include elements of landscaping, outdoor living, lighting and fencing options. In the end, we will create your own personal oasis! To learn more about having your own custom in-ground pool installed, contact the experienced pool contractors at Hardscape Solutions today!